«The flow of ideas and cultures are personally very important to me, making us see, hear and understand the creative power as a vehicle of tolerance». 2010 Salia Sanou founded the dance company Mouvements PerpОtuels. A major promoting tool of social connections of a creator and his environment. A man of his time and the Languedoc Roussillon, whom he feels a true and full member. He constantly develops projects. Step by step, they establish, support and consolidate his artistic line : Always develop a choreographic writing to engage with audiences. Educate the glance, make spaces sensitive, in a theater, in the great outdoors, in a village centre or on a square. An artistic line, always sustained by a humanity from shore to shore. Between France, his adoptive land, ans his native country, Burkina Faso. Today, . From his own experience, making regular return trips between this land, where everything can happen and some other places in the world, where there remains much work to be done. «But everywhere we go, throughout the world, collective aspirations are shared to make living together easier, spaces for knowledge and value sharing, self-understanding and knowledge of the other». For every new creation, Salia thinks about the heart of his life. Like that of a young dancer, gone from his village, moving the capital of Burkina Faso, Europe and then the worldwide. An african artist who claims frontiers disappear and Africa is an integral part of an open world to contemporary art. 1992 Introduced to Bobo rituals and traditions, he was trained for african dance with Drissa Sanon (ballet KoulОdrafrou de Bobo Dioulasso), Alasane Congo (Maison des jeunes et de la culture de Ouagadougou), Irène Tassembedo (compagnie Ebène) and Germaine Acogny (Ballet du Troisième Monde), Salia Sanou met Seydou Boro at l’Union Nationale des Ensembles Dramatiques de Ouagadougou. 1993 Salia Sanou is 24 years old when he met Mathilde Monnier and reconnected with Seydou Boro at the Centre Chorégraphique National de Montpellier. The creations «Pour Antigone», «Nuit», «Arrêtez, arrêtons, arrête», «Les lieux de là», followed. At the same time, Salia sanou choregraph L’héritage. This creation received the first prize in the field of the performing arts, during the National Culture Week in Burkina Faso (first national prize in the contest for contemporary African dance – AFAA). 1995 Building on this success and their joint path within the Mathilde Monnier’s dance company, Salia Sanou and Seydou Boro decided to explore together a contemporary African dance, far from exotic and folkloric stereotypes. They founded the company Salia nï Seydou and created their very first show «Le siècle des fous». They are awarded at the deuxièmes Rencontres Chorégraphique de l’Afrique et de l’Océan Indien in Luanda. 1997 Création of «Fignito, l’oeil troué». “Découverte” R.F.I. Danse 98 award. 2000 Création of «Taagalà, le voyageur», Festival Montpellier Danse. African dance is not limited to replicate the traditionnal forms. But it can not also be subject to the dictates of Western models. Not to be satisfied with tradition doesn’t mean deny it at all. 2001 Salia sanou is invited by the company Tumbuka Dance of the Mozambique National Ballet as a guest choreographer for the show «Kupupura». 2002 Surrounded by Seydou Boro and Ousséni Sako, he choregraphs «Weeleni, l’appel». One of the most intimist creation of the company, performed by three dancers and four musicians from Marocco and Burkina Faso. 2003 Salia Sanou was voted artist of the year by the Organisation Internationale de la Francophonie. 2004 Creation of «Un carré piste». 2001-2006 Salia Sanou is the artistic director for the Rencontres Chorégraphiques de l’Afrique et de l’Océan indien. «Un Pas de Côté» is created for the Biennale de la Danse de Lyon. Featuring in the same space different artists, different living experience and distinctive cultures. Not to question our differences, but to see, hear and experience our richness. 2006 Salia Sanou and Seydou Boro founded and directed the Centre de Développement Chorégraphique La Termitière in Ouagadougou, Burkina Faso. First of its kind in Africa, this worldwide initiative is dedicated to creation and training. This project received financial support from the french Ambassy in Ouagadougou, the Ouagadougou City Hall and the Burkina Faso Ministry of Culture, the Arts and Tourism. Together, they run the «Body Dialogues Biennale» in Ouagadougou, which provides meetings, workshops and writer’s residences based on international programming of dance. 2007 They receive the Trophée Cultures France des Créateurs sans frontières. This prize rewards international artistic creations and cultural coopérations. 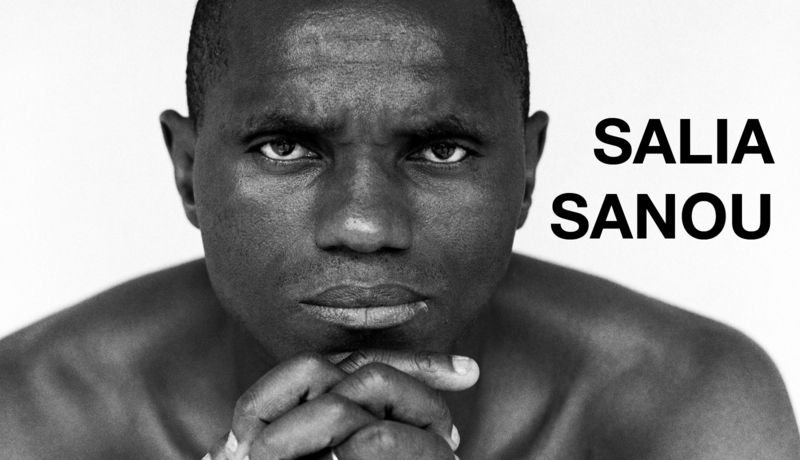 2008 Salia Sanou is named an officer in the order of Arts and Letters by the french Ministry of Culture for his choreographic work around the world. In the course of his creations, he is committed to share with the audience the sources of his choregraphic writing and his artistic gesture as a commitment to light the stage to make visible the strenght, the poetry and the musicality of a changing Africa. Salia Sanou is going to create an work, close to real life and shakeups of our time. 2008 Création of «Poussières de sang», Festival Montpellier Danse. 2008 publication in November of «Afrique, danse contemporaine». A book which he is the author, illustrated with the photos of Antoine Tempé, published jointly by the Cercle d’art and the Centre National de la Danse de Pantin. 2005-2011 Artist-in-Residence at the Passerelle, Scène Nationale de Saint-Brieuc. 2008-2011 Artist-in-Residence at the Centre National de la Danse de Pantin. 2011 Salia Sanou and Seydou Boro leave each other, each in his way, but still managing together the artistic direction of la Termitière, in Ouagadougou. Fifteen years on from their first creation, they established on the international artistic scene a contemporary, singular and profound writing. As an artist with a deep commitment, he cultivates the art of motion and mobility in order to better understand the current situation in the world.